Andy Rubin, the father of Android, is behind the Essential Phone. When it launched, it had some technical features that made it unique. It stood out among a sea of me-too Androids. What I find most intriguing is the marketing behind its release: what's the strategy and the positioning in the market? Why does it have no brand? 1. It comes from the creator of one of the two dominant platforms in the phone world. 2. When it launched, it had some technology that made it different. It was not just another Android phone with some improved features. It had new ways to solve old problems. 3. The marketing is intriguing. It has small bezels, but the design is uncommon. There is no brand and no name on the phone. The strategic position is not clear. Many other people have reviewed that phone and talked about the technical specifications. I will make only a fast review of the basics. That will help us concentrate on the marketing strategy later. - Materials. It has a titanium body that makes it stronger than the rest of the phone made of aluminum. The back is ceramic. That makes it very resistant to scratches and gives it a texture and feel that differentiates the phone from others. - The accessories snap on with a magnet. The data connection goes wireless. The user will not have to change the accessories when they get a new phone. - It has the Android Operating System. It's the purest version. No add-ons. - They build an ecosystem of interconnected devices. The phone is the first step. A home assistant will come next. Samsung S8, LG G6 and PH-1 (Essential Phone). From left to right. All the reviewers agree that the titanium and ceramic materials give personality to the phone. It has a new look with an emphasis on quality. It surprises me that nobody has commented that the front looks unbalanced. All the new phones come with small bezels. It's just an evolution of the technology. Many praises that the screen can expand all the way up to the top, leaving only a small space for the camera. At the bottom, there is a much more prominent chin. I think that makes the design unstable and decompensated. I have not heard anyone commenting on that. It makes me think that perhaps I'm too picky or it's just my problem. Despite this, I still consider that the solution that Samsung S8 gives is much better. The bezels on top and bottom have the same size. That transmits equilibrium and harmony. At the same time, the screen free space is similar on both phones. 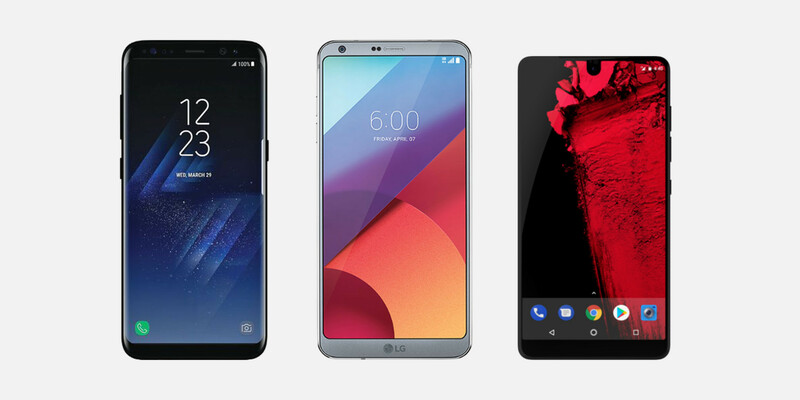 The LG G6 and the iPhone X also have small bezels and a nice design. I like this phone very much. I admire Andy Rubin. I do think that the marketing is confusing, though. The phone is beautiful, it comes with an innovative solution for accessories and gives a clean version of the operating system. But that is not enough to make a marketing positioning. There is no story behind it, or at least I am unable to see it with the information they give. Nothing makes them different. I do not know how to position them in the present market. When it launched, it had some technical innovations. But the sector evolves fast, and just a few months later other brands came with similar solutions. It's hard to make technology a strong differentiator. What will make Essential unique in the long-term? It's not clear. Not for me. - Devices are your personal property. We won’t force you to have anything on them you don’t want to have. - We will always play well with others. Closed ecosystems are divisive and outdated. - Premium materials and true craftsmanship shouldn’t be just for the few. - Devices shouldn’t become outdated every year. They should evolve with you. - Technology should assist you so that you can get on with enjoying your life. - Simple is always better." Many of these things remind me of Google and the Pixel Phone. They both have an open system, similar price range, and a simple version of the operating system. Till now, the phone made by Google was the leading proponent of a pure Android experience. Simplicity and quality on a high-end phone and in an open ecosystem. The Essential Phone seems to position itself in the same space. It offers some new things like the modularity that helps the phone evolve and the small bezels. But those are just technological features. Pixel and the others will catch up soon. There is no strategic differentiator. I still do not see any sustainable competitive advantage. The company has the name Essential. In the website, we can see that they call the phone Essential PH-1. You can see that only in the specifications, at the bottom of the page in a small gray font type. It seems to be a technical or code name, not a commercial title. No brand. On the phone, there is no logo either. The phone has no name, no logo, no brand. 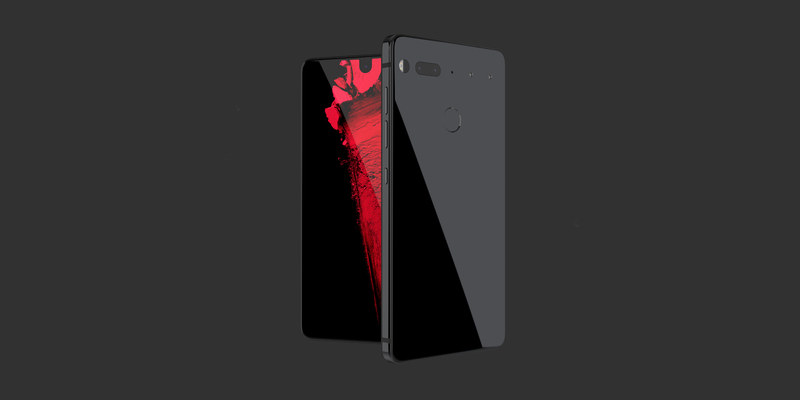 Most of the people take the name of the company and call it the Essential Phone. There's no other option! I would like to think that it is intentional, and they did not use any logo on the device because they want to accentuate a clean design. Perhaps things are more simple, and they just had no time. They have worked hard in the technology, and they just did not think about the brand. It's a beautiful phone; it has high-quality materials and some technological innovations. However, the marketing and brand are confusing. They are new and need time to learn and improve. The founders always give their souls to their companies. We will see that in the culture and the strategy for evermore. I think that some essential things will not change. This is a product of a fantastic engineer. A beautiful object made from the mind, not the heart.